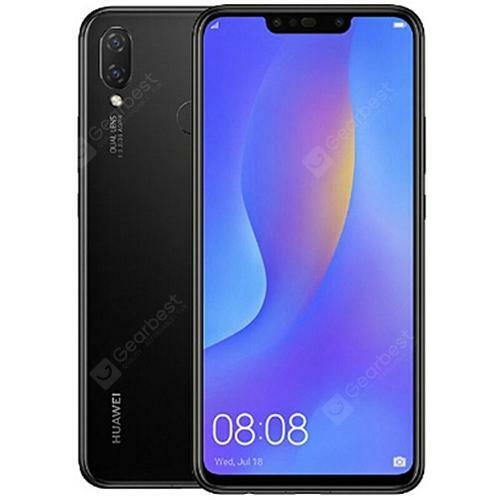 HUAWEI nova 3i 4G Phablet Global Version - BLACK w cenie $249.99 | Chińskie kupony rabatowe, zniżki i okazje! Informacje o dostawie: Ship between: Feb 08 – Feb 11, Estimated Shipping Time: business days Order Processing Time may require a few days. Once dispatched from warehouse, Shipping (or Delivery) Time depends on the Shipping Method. HUAWEI nova 3i as a phablet features 6.3 inch display afford you a vivid and different visual experience. Quad cameras, 16.0MP + 2.0MP back camera and 24.0MP + 2.0MP front camera, you can enjoy images with 2340 x 1080 high resolution. It comes with most of the features we’ve come to expect from a phablet, including 4GB RAM and 128GB ROM storage equipped with Android 8.1 and 3340mAh big capacity battery that you can play games faster.